NOTE: the judgment in this case is due any time now. This post provides a short case history and details of more documents made publicly available by the Tribunal. This post follows on from my previous posts QMUL v the Information Commissioner + Matthees (PACE Trial) Part 1 and QMUL’s upcoming appeal against the Information Commissioner’s decision on release of PACE trial data. For a full explanation to the background and history of this case, please see my more detailed post from November 2015 Queen Mary University of London to appeal Information Commissioner’s decision on disclosure of PACE Trial data. In due course, Mr Matthees complained to the Information Commissioner (IC) who, in October 2015, ordered that the information be disclosed. QMUL appealed against the IC’s decision; that appeal was heard by the First-Tier Tribunal on 20-22 April 2016 in central London. QMUL and the IC were legally represented and QMUL called witnesses to give evidence. Mr Matthees had been joined as a party to the proceedings. He was not legally represented and did not attend the hearing but made written submissions. Judgment is awaited. [Note: the PACE trial, which was published in 2011, relates to certain treatments for the condition known as “chronic fatigue syndrome” (CFS). CFS is often conflated (confusingly) with myalgic encephalomyelitis (ME) and referred to as CFS/ME or ME/CFS, to the detriment of genuine ME patients. This is the situation in many countries and has been for decades; it is the cause of significant confusion and distress to many patients worldwide. This case (which involves a request for eight subsets of trial data) is unusual in that it is only the third such request which has been appealed as far as this stage. Neither of the first two cases, both from 2013, was successful (read judgments at Courtney and Mitchell). This case differs from the other two in that 1) the IC was resisting QMUL’s appeal and 2) it was a live hearing with witnesses giving oral evidence. This was not the situation in the previous cases. So far, there have been 37 requests for information to QMUL about the PACE trial; many of the requestors have been deemed “vexatious” which means the information does not have to be supplied. On 17 April, I contacted the Tribunal Registrar and requested the documents for this case which were publicly available [as I was unable to attend the hearing]. This was refused (other than the IC’s decision notice which I already had). I repeated my request; again, it was refused. On 19 April, I contacted the President of the General Regulatory Chamber (GRC) who has oversight of the Tribunals. I explained that this response was unacceptable and requested a full review of my application. He responded promptly and decided that I should be sent some of the public documents [see previous post for details and link], with a further review after the hearing was concluded. On 25 April, I contacted the GRC President again, requesting the further review and asking for details of any departure from the usual principles of Open Justice during the course of the hearing. On 3 May, I received a list of further documents which I will attach at the end of this post. My question about Open Justice was not addressed at all. On 6 May, I wrote again, asking for the Open Justice point to be addressed, clarifying that what I wanted to know was whether or not a reporting restriction order had been made at the hearing and, if so, what were the terms and what reasons were given. 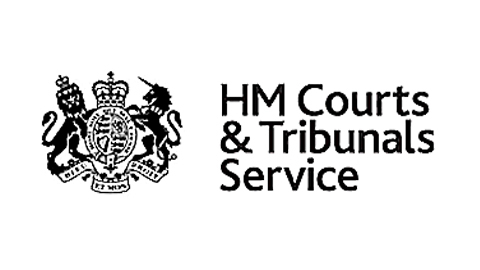 The general rule in British courts and tribunals is that anyone present can make a fair and accurate report of what happens in open sessions, unless otherwise stated by the court in a reporting restriction order, in which case reasons should be given in open court. It is assumed that the Tribunal members will be impartial in their approach to the evidence before them. It therefore follows that restrictions on what can and cannot be reported about the hearing might trigger alarm bells within any group of people who might be directly affected by the Tribunal’s rulings. One would not normally expect the open sessions of a routine hearing about a clinical trial to require restrictions on reporting. Given the amount of high profile UK media space which has been dedicated to the still unchallenged vilification of ME patients in recent decades (in contrast to the minimal reporting which has covered the real issues around the illness and the patient community) inevitably this is a matter which is of the utmost importance to patients, their families, carers and supporters. In response to your query; ” —- whether there was any departure from the usual principles of Open Justice at the Tribunal hearing on 20-22 April — ” the answer is that there was not. In relation to your interest in the subject matter of the appeal in question, and as a gesture of goodwill to you, (on the basis that you informed the Tribunal that you were unable to attend the appeal due to ill health), this Tribunal took the unusual step of asking the parties to the appeal to identify, in as far as they could, access to material that was in the Open bundle of material before the Tribunal. As a courtesy to the Tribunal, the parties kindly drew up the attached list for the benefit of any members of the public who wished, like you, to attempt to access such material. It is not an exhaustive list and in any event has only been provided as a courtesy and by reason of your request. It is not the function of the Tribunal to provide advice or access to material that the parties refer to in an appeal. The courtesy shown to you in this regard should not be taken as a response that the Tribunal or the staff therein have any duty whatsoever to undertake. So the answer about any reporting restriction is still not entirely clear but, in the absence of any assertion to the contrary, it seems that no order was made. In other words, those attending were free to report as they wished. The main thing that surprised me was that the judge threatened any observer recording or even taking notes (via computer, hand, etc.) with contempt. He also warned sternly against anything about what happened in the hearing appearing anywhere online, social media, etc. It appears that the issue of note-taking was clarified the following day and that this was allowed, albeit in a limited fashion. If this was the climate of the hearing, it seems as though (in the absence of a formal reporting restriction order with full reasons given in open court) the usual principles of British Open Justice were temporarily suspended. And the inevitable questions arise, at whose instigation did this take place and for what reason? Incidentally, if a reporting restriction order was made, then I may well be in breach of it now, despite my best efforts to establish its existence and terms. Judge Kennedy wrote: “The courtesy shown to you in this regard should not be taken as a response that the Tribunal or the staff therein have any duty whatsoever to undertake”. Point taken; the Tribunal staff are severely over-stretched as it is and couldn’t possibly cope with requests of this nature on a regular basis (although I doubt they receive them very often). However, “The courtesy shown to you in this regard…” needs clarification. I was not seeking any kind of “courtesy” or favour from the Tribunal. I was asking for an accommodation for the disability which prevented me from attending the Tribunal proceedings in full. The Equality Act requires that proper consideration be given to such a request and reasonable adjustments made. It also helps if the response is not couched in terms designed to make the recipient feel uncomfortable about having asked. A note containing the list of documents has been sent to me. It consists of articles, references to public information sites (such the NICE Guidelines), decision notices and judgments. No skeleton arguments or witness statements were included although I understand from the note that these were made available as part of an Open Bundle for those who were able to attend the hearing in person (although the bundle could not be removed or copied). This is unfortunate, as without access to at least the skeleton arguments, it is not possible to understand how, or if, the listed documents were used within the context of QMUL’s submissions. There are links provided in the document list. However, the ones which I have checked don’t always work because they are inaccurate or incomplete. It may depend on the format/browser in which you view them. You can download the list from the link at the end of this post. The PACE trial has had a severely adverse effect on the treatment of many ME patients all over the world. This particular Tribunal case is of unusual significance for reasons explained above. Judging by the viewing figures on this blog, people from many different countries are following its progress. This Tribunal hearing broadly encompasses issues of law, media, transparency/open justice, science/academia, ethics, data sharing and – perhaps most important of all – the ever-increasing trend towards open data. It could quite reasonably be argued that, where a particular study is unusually controversial, the best way of addressing the issue is to make all the data available, with redaction/anonymisation where appropriate. If that were to happen, then all the interested parties could participate in the debate on an equal footing and in a properly-informed manner. In the five years since the publication of the PACE trial, I have counted at least ten different sections of FOIA which have been used by the trial’s authors as reasons for not disclosing information. On any view, that seems a little excessive. The judgment determining whether or not the data will be released should be out shortly. In general, judgments are usually published within three weeks of the conclusion of the hearing but there is some flexibility in the timing. Any of the parties can appeal against the judgment but on a point of law only. Note: for more information about my background see the About section of this blog. I am very troubled by the tribunal’s intimidation of the public observers in order to implement an unofficially closed hearing. It’s like a cop telling a motorist they will be arrested for speeding, after the cop covers up the speed limit signs. I can’t escape the feeling that the tribunal’s decision was decided before the hearing, and I see no reason to assume the tribunal is either independent or objective. Once again the allegedly sacred “Rule of Law” is showing itself to be a cover for abuse of power in service to the disability insurers. I didn’t see a list of supportive statements by the UK patient charities. Are we still waiting? I agree, a closed hearing for this ? it stinks to me. Still waiting as of today, Christopher. There isn’t a fixed time limit on judgments being published but this taking an unusually long time. Only parts of the hearing were closed (which is quite normal). Most of it was open – but apparently with limitations on what could be said. If there was a formal reporting restriction order in place, I have been unable to establish what were its terms and why it was made. I see, thank you for clarifying. Sorry for my confusion, I’m in payback for a busy (for me) birthday weekend. I have some appreciation of how much effort goes into your coverage, I am very grateful. Meanwhile another London University has a more relaxed attitude to sharing data under an “implied consent” rule: https://www.newscientist.com/article/2088056-did-googles-nhs-patient-data-deal-need-ethical-approval/ at least when the sharing partner is a $billion multinational. Due any day now? Still nothing a month and a half later. Very strange. Or is this how it ends? 😉 I’m hopefully just sarcastic. If tribunal has no limits how long it can hold verdict we may never have answer. And thanks for great work! No more news as at the end of Thursday 30 June. We may learn more about the cause of the delay when the judgment is finally published (which, eventually, it must be). Besides the fact that it is their job, is there any law that compels a tribunal to issue a ruling? What prevents a judge from “taking it under advisement” indefinitely? This judgment is taking an exceptionally long time but I’m not aware of any instance where a judgment has not been forthcoming eventually. That would be procedurally and legally untenable. I am aware of one case where the judgment took three months (usual time is 3-4 weeks); that’s highly unusual but it can happen. The most common reason for delay is a practical one (eg. illness of a Tribunal member) but I do not know why this particular judgment is taking so long. “The judge who previously oversaw the [habeas corpus] case, Richard Roberts, failed to rule on nearly every motion Abu Zubaydah’s attorneys have filed over the past seven years.